Just last week, we received a shipment of terracotta pumpkins in various sizes and colors – all with smiling faces! Also have some pumpkin shaped planters for your mums and other fall arrangements and flowers. 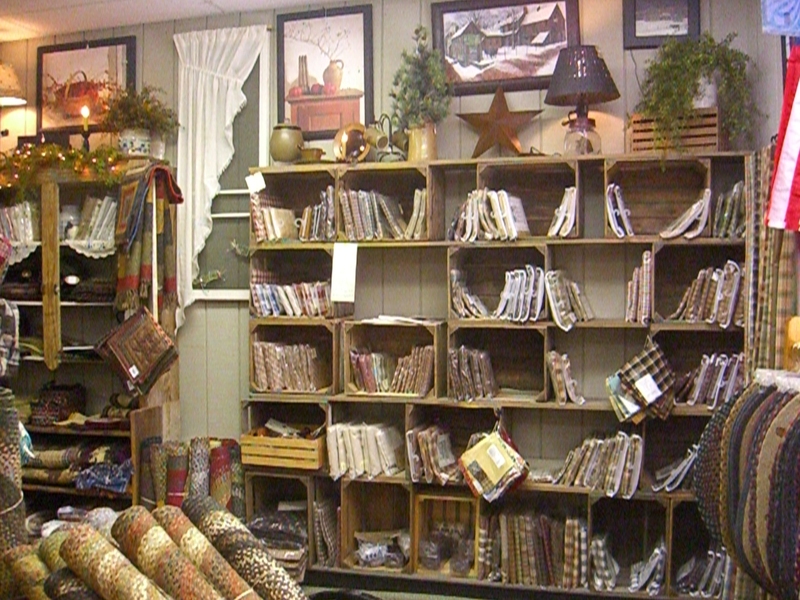 We have a great selection of ‘prim’ cloth pumpkins, candles, stenciled jute rugs and tabletop, fall flags, florals, wreaths – including real bittersweet and lots more! 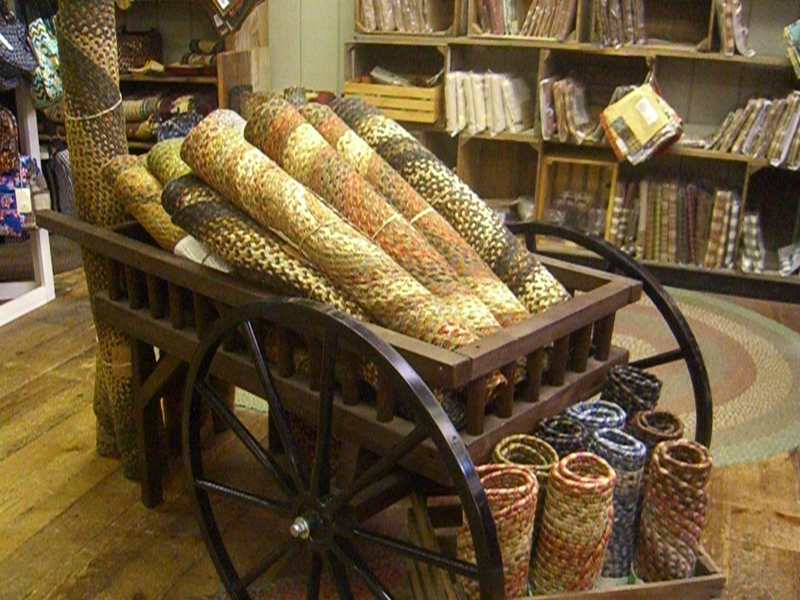 Just a bit of the fall decor we have in the shop right now. 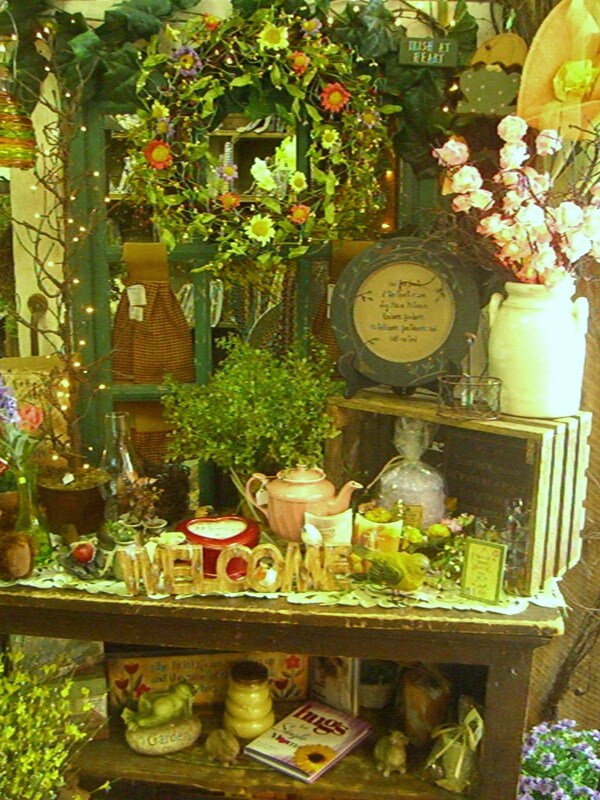 Candles and wax melts, Battery Operated Candles, Wreaths and other great Fall Florals, Garden Flags and Mats, and more! We will be closed on September 5 – Labor Day. Back in stock . 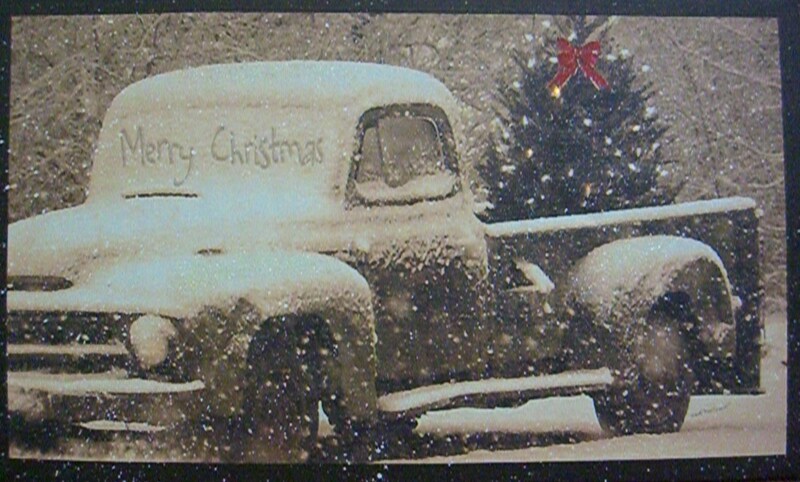 . .
We have a few MERRY CHRISTMAS (lighted) Radiance canvas prints that came in this week. This is our third order of this particular print, and sadly we were not able to get as many as we wanted. Some of you who asked to be called upon delivery have been called, and we have just a few more to put out for sale. Stop in soon if you want one! Christmas music from GreenHill Productions has arrived. We will be playing it in the store beginning Black Friday, but we have it for sale now. Celtic and Irish music; Smokey Mountain; Gaither Vocal Band; Oak Ridge Boys; BlueGrass and more music is available now! Door County Coffees and Cocoas have just been restocked, including Jingle Bell Java (our best seller) and much more! We will again decorate one of our trees with an assortment of ornaments that can be bought for a donation that we will make to the Red Cross (and maybe another local organization). The tree will be decorated by Black Friday for your donation purchases! More info on that to come. 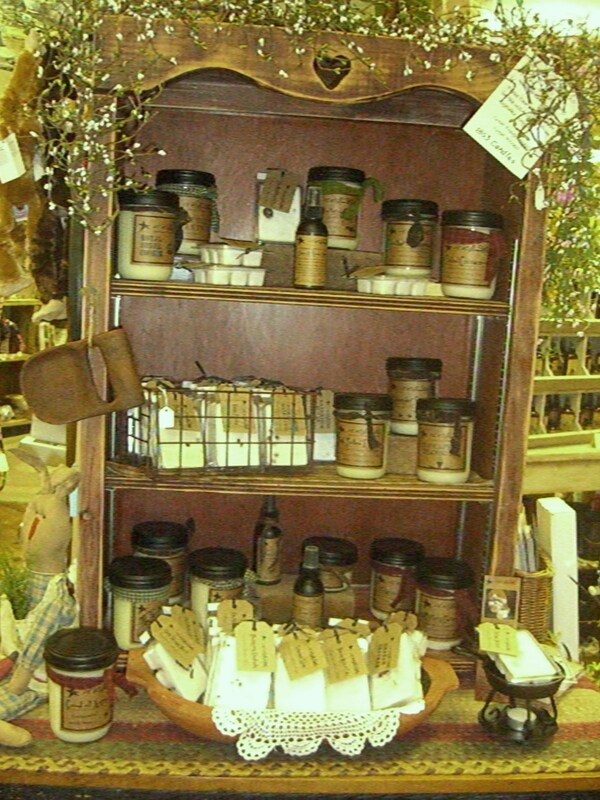 Candles and melts from Cheerful Giver, Swan Creek, Goose Creek, 1803, McCalls are here, with more to come! 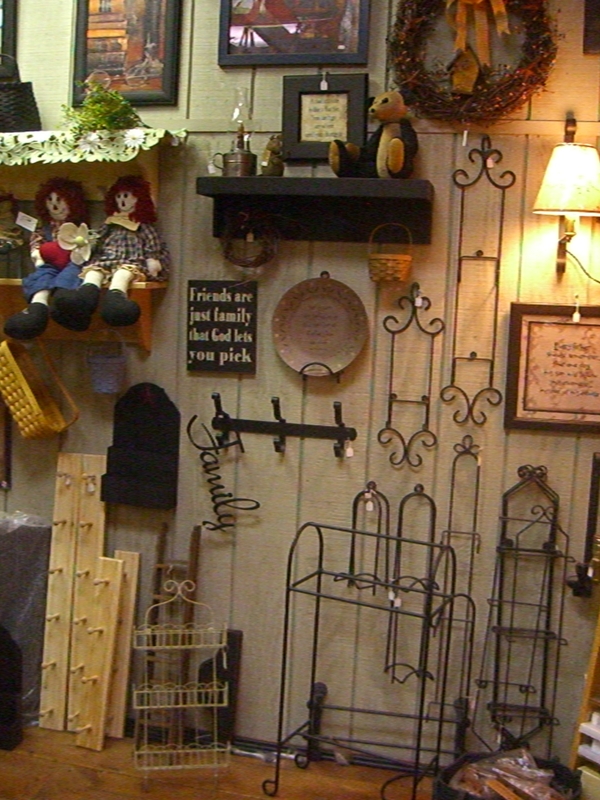 Like us on Facebook (ABitOfCountryGiftShoppe) and keep up with other new happenings, including our Holiday store hours! Our local area is recognizing 2 big anniversaries this summer. This month, Hanover is celebrating its founding – its 250th birthday! And along with that, the Civil War battle at Gettysburg took place 150 years ago in July. A few days before that well known event happened, there was a lesser known, but important skirmish in Hanover. 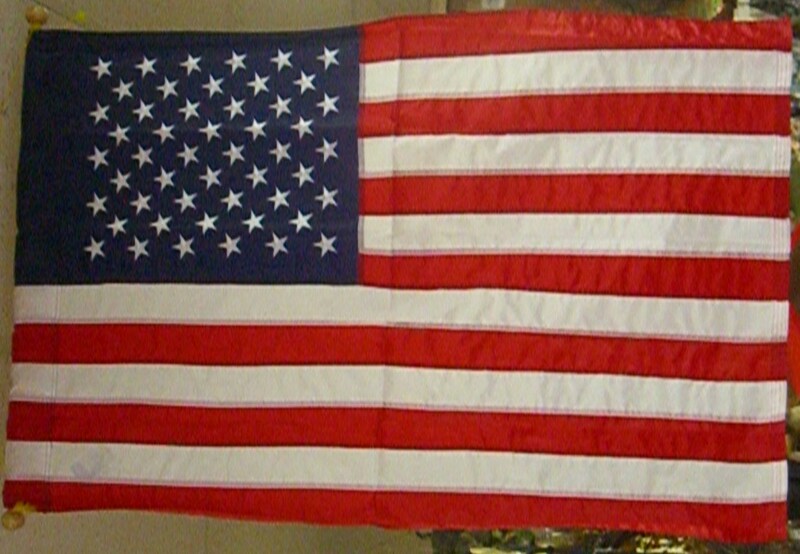 This week Americans all over celebrate Flag Day on June 14. 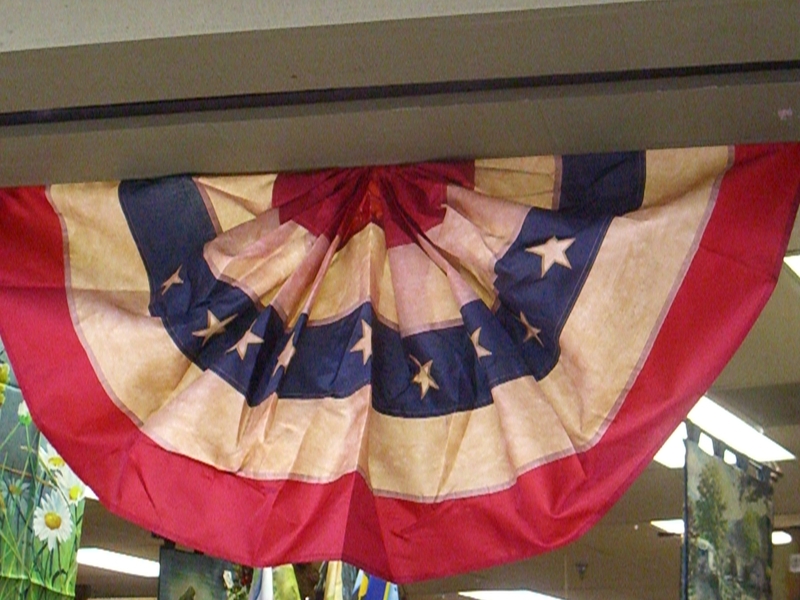 In many towns, there will be events honoring the history and symbolism of our country’s flag. And of course, the Fourth of July is a big celebration of independence in most cities and towns across the United States. 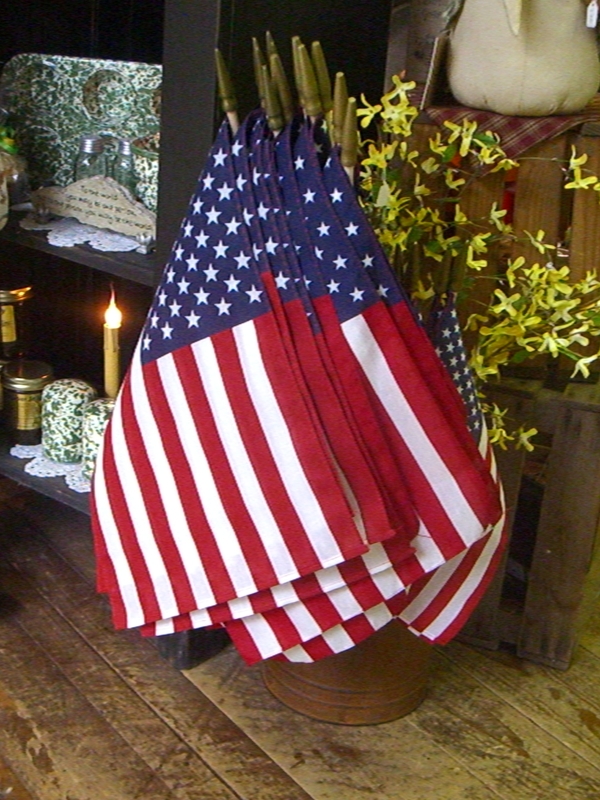 At A Bit of Country on Wednesday, Thursday and Friday, we have all our flags and buntings on sale at 15% off our everyday prices! What’s a birthday celebration without candles – and a 250th birthday deserves alot of candles! Right now, we have our string taper pairs on sale and beginning on June 25, all of our in-stock (wax) candles will be on sale thru July 5th! If you need candles now, or will need them in the future, stop by to see the selection we have and take advantage of the great prices! Most folks we talk with have a hard time with the fact that we’ve already finished the first 4 months of this year 2013. When you work in retail, the time goes especially fast, mostly because you are always thinking ahead — up to six months or more. It is a constant balance for us to look for new product that you all will love (like our lighted stretched canvas prints that we have trouble keeping in stock! ); buying just the right amount of that product – not too much but not too little; and keeping everyone’s favorite items in stock. 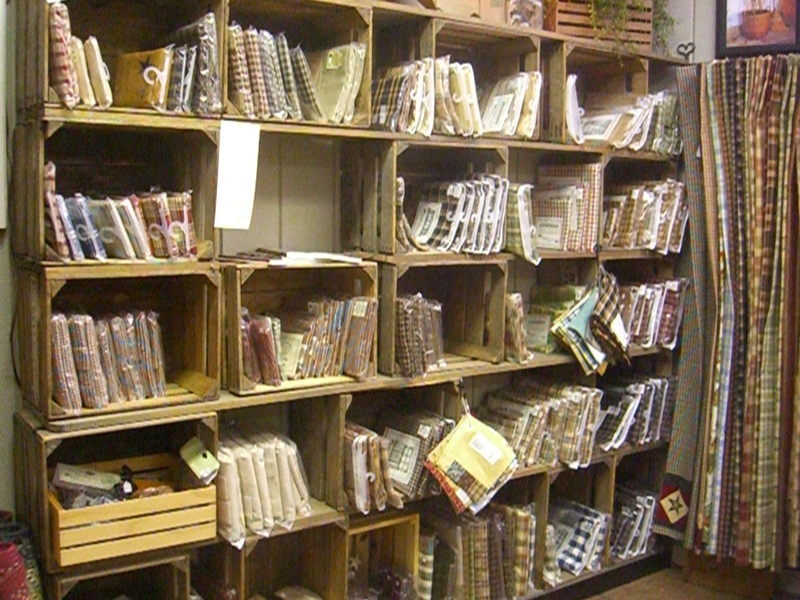 For example, we sell lots of curtains and braided jute rugs from several companies and it is nearly impossible to keep all the different styles and sizes in-store at all times. We restock almost weekly for our most popular items, but we also accept many special orders. Fortunately, most of the time, we can order curtains and rugs from our suppliers and have those items within a short amount of time. 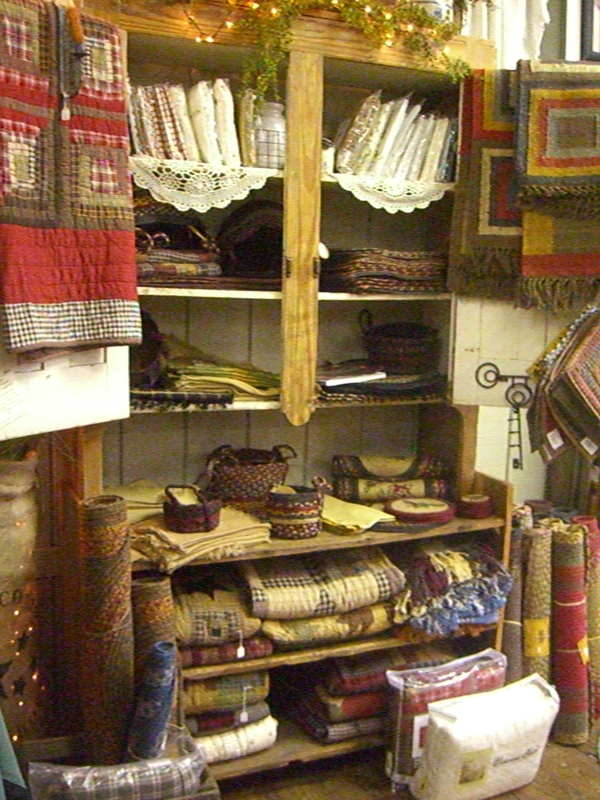 We can also ship, or drop ship curtains, rugs, quilted bedding and other soft items if you don’t live nearby. Our newest new-for-us product comes from Camille Beckman. We’ve handled their card inserts for quite some time – a bit of lotion in a foil packet inside a small folder that easily slips into a card. It makes that card you are mailing just a little more special. After a bit of research and reading lots of customer reviews, we decided that our customers would really enjoy Camille Beckman Glycerine Hand Therapy. We recently brought in 3 of the company’s most popular fragrances (Camille, French Vanilla, Tuscan Honey) in a variety of items. 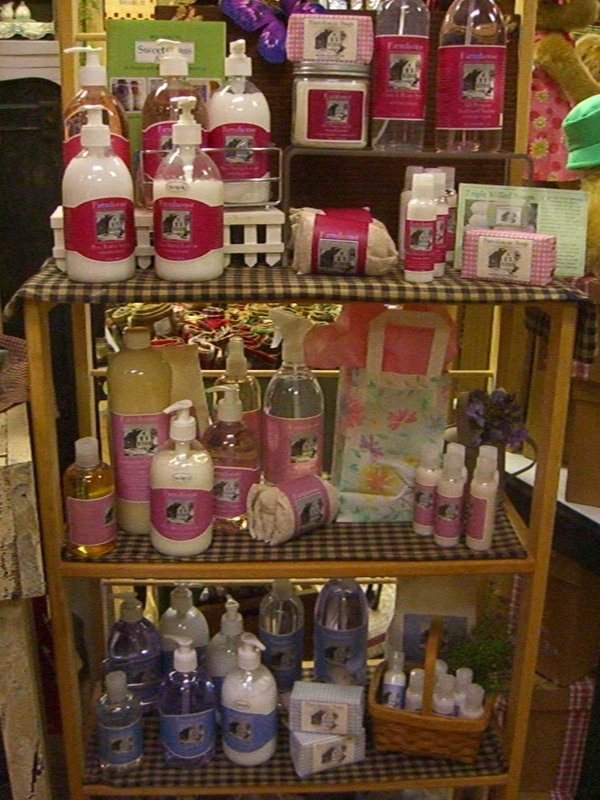 In addition, we still have the card inserts and purse size Hand Therapy fragrances. If you want to check out the huge variety of items and fragrances the company has developed, look here. 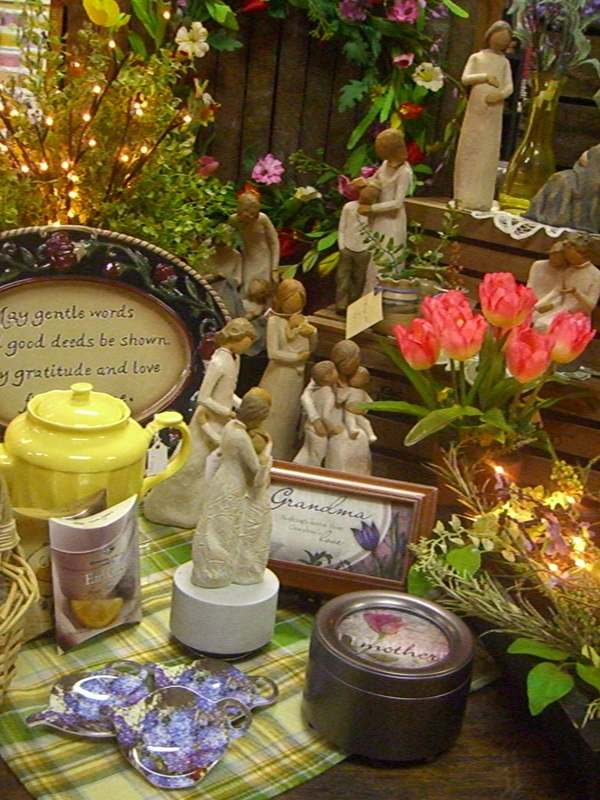 Mothers’ Day is coming quickly and we are stocked up on many gifts all those women in your life will love . . . music boxes, Willow Tree, gourmet coffees, embroidered lace, candles, wax melts and wax melters, nightlights, battery operated candles and lanterns, soaps & lotions, gift certificates and lots more. We can help you make up a gift bag or basket with several goodies. Have you joined our rewards program and birthday club? Every day, people are benefitting from signing up. We’re getting ready for the holiday shopping season to begin — starting with Santa coming to the mall this Saturday – November 17 at 11:00. He will be joined by Curious George! While you are in the mall, stop by the store and check our Ganz and Nat & Jules plush animal sale! We wanted to let you know that on Black Friday, we will be opening our store at 5:00 am. So, if you are up and in the area, you can stop by the mall to see us early (or later . . . we’ll be open till 10:00 pm). There will be a gift with purchase on Friday and thru the weekend, as a thank you for your continued support as you shop our store. You will also find some specials throughout the store during the weekend. Saturday (Shop Small and Shop Local Saturday) hours are 8:00 am thru 10:00 pm and Sunday’s hours are extended to 11:00 am to 6:00 pm. All year long we proudly support local businesses . . . 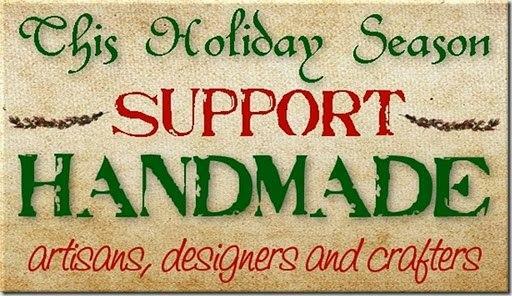 Handmade by Cheryl, AcornWoods Designs, Jills Jams Mixes & More, Stampin Up Cards by Pam and of course – Dottie’s Snowmen! 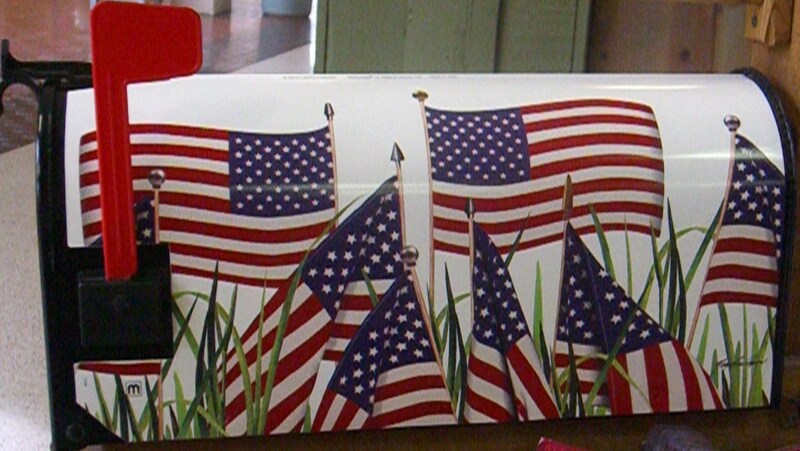 Our candles, potpourri, wrought iron, framed art and many of our word boards are made in the USA. Coffees and cocoas come from Door County Wisconsin, Country Home Creations mixes from Michigan and Pelican Bay mixes from Florida. Beaumont and Sugar Loaf Pottery is made in Ohio, Off the Beaten Path Cookie Cutters in Missouri and Irvins Country Tinware is made right here in Pennsylvania! SallyeAnder Soaps hail from New York and Sweet Grass Farm soaps and lotions from New Hampshire – and they can all be found right here! We may have left out some of our local and made in the USA suppliers — and apologize for that. Thanks to everyone who stopped by yesterday for the first day of our Fall Open House. Today’s featured on-sale item is Button Wax Melts. Our regular cost is 99¢ thru $1.29 . . . but today we have them on sale for 89¢ each! A really great price . 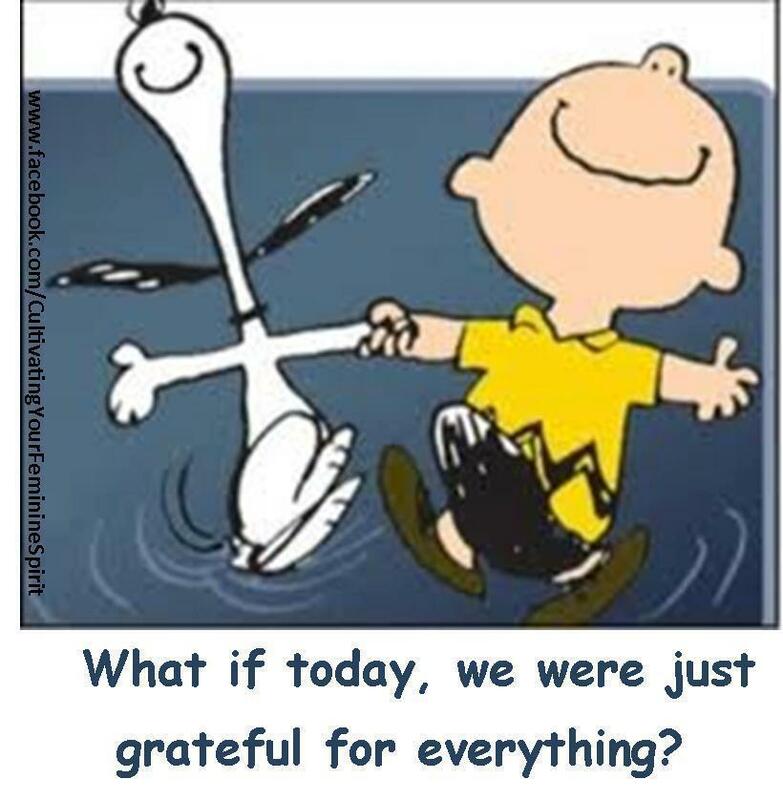 . . but for today only! 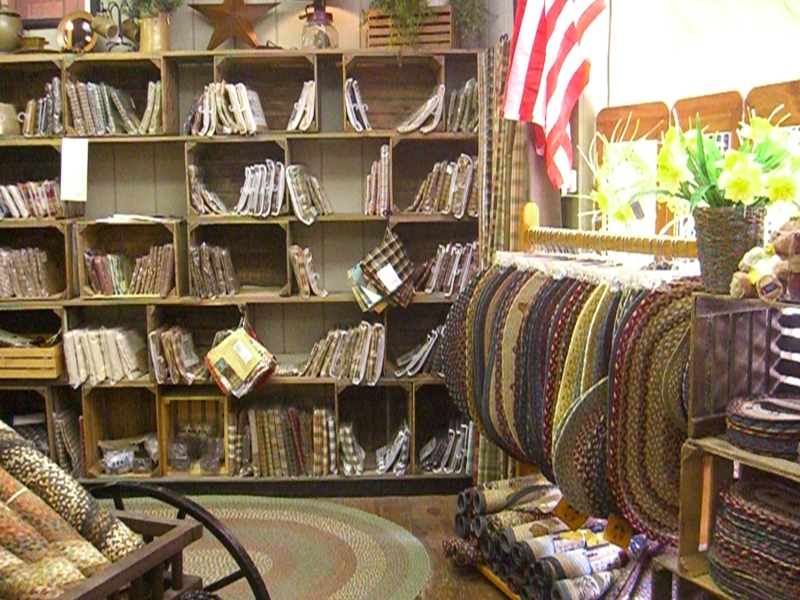 Don’t forget, tomorrow morning, Dale will be here for a hands-on demonstration of Embellish Your Story by Roeda™. Get familiar with the product, and sign up to win a gift certificate to use towards the purchase of Embellish Your Story product! Dale is also bringing along the magnetic embellishments for the new Nativity Scene. Orders can be taken for any product we do not have in stock!